Ok, I’ll admit it. 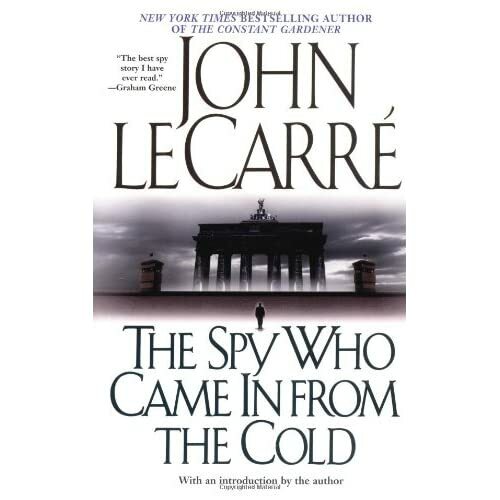 Until now I hadn’t read the most influential spy novel of the 20th century, The Spy Who Came in from the Cold by John LeCarre. Now that I have, it’s easy to see why it had such a big effect. To discuss the plot too much is to spoil it, but briefly – Alec Leamas is a British chief of station in Berlin. After his entire network is blown he’s given the option of being put out to pasture or taking one last job. Throughout the story it becomes obvious that the author is familiar with the intimate details of the spy world at that time, LeCarre formerly worked for MI6, but more interesting are how the different layers are slowly peeled back until the entire picture is revealed. One of the great things that LeCarre is able to do is let you work out what is coming a split second before it does. It adds to the sense of foreboding and inevitability that begins to pervade the story as it progresses. Last Words: Almost 50 years later, this book is still a great read and just as influential.